MOSCOW, December 26. /TASS/. Russia and Turkey will hold high-level talks on Syria in Moscow in the near future, the Russian Foreign Ministry said on Wednesday. “The meeting with a representative Turkish delegation is in the works. The high-level contacts on Syria might be held in Moscow in the near future,” the ministry said. 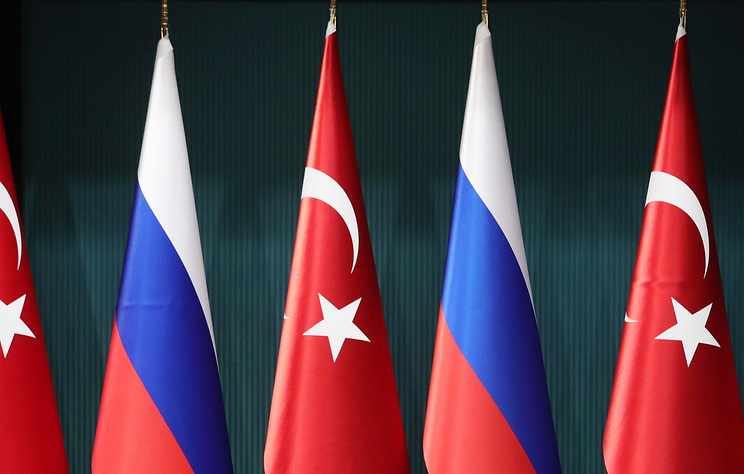 Earlier in the day, Omer Celik, spokesman for the Justice and Development Party headed by Turkish President Recep Tayyip Erdogan, said that a high-ranking Turkish delegation would visit Russia on December 29. The delegation is expected to bring together Turkish Presidential Spokesman Ibrahim Kalin, Foreign Minister Mevlut Cavusoglu, Defense Minister Hulusi Akar and National Intelligence Organization head Hakan Fidan. Hey Buddy!, I found this information for you: "Russia, Turkey to hold talks on Syria soon — Russia’s Foreign Ministry". Here is the website link: https://russophile.org/russia-turkey-to-hold-talks-on-syria-soon-russias-foreign-ministry/. Thank you.